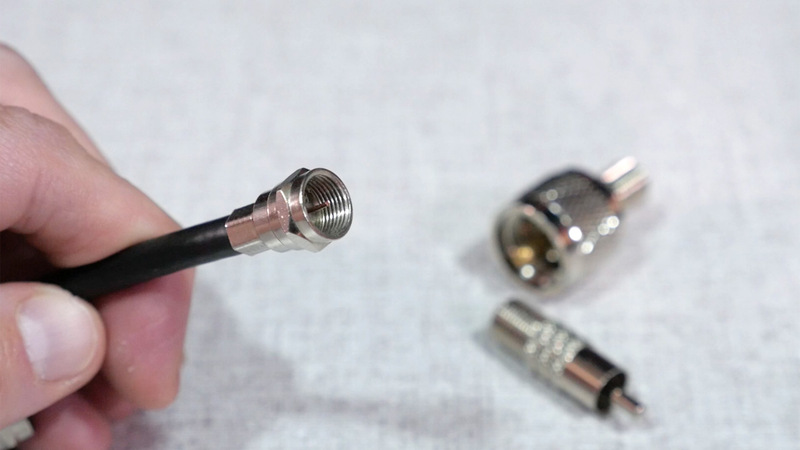 Package of two adapters let you use common RG-6 or RG-59 cable to connect an external antenna to your NOAA Weather Radio. 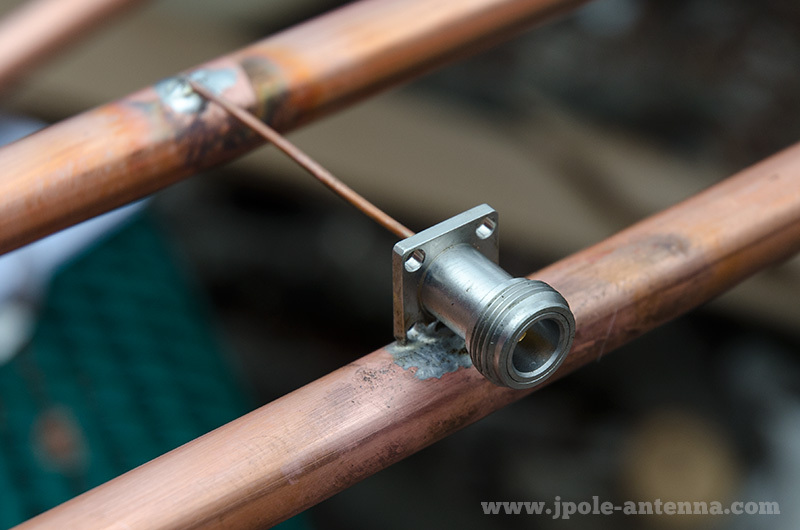 The RCA male adapter connects to the weather radio and the PL-259 adapter connects to the NOAA Weather J-Pole antenna. 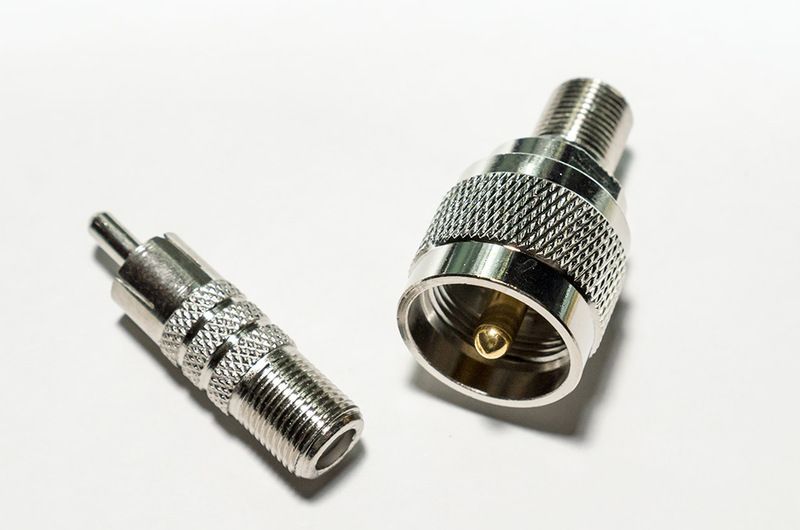 With these adapters you can use RG-6 or RG-59 cable with F Male connectors on each end. 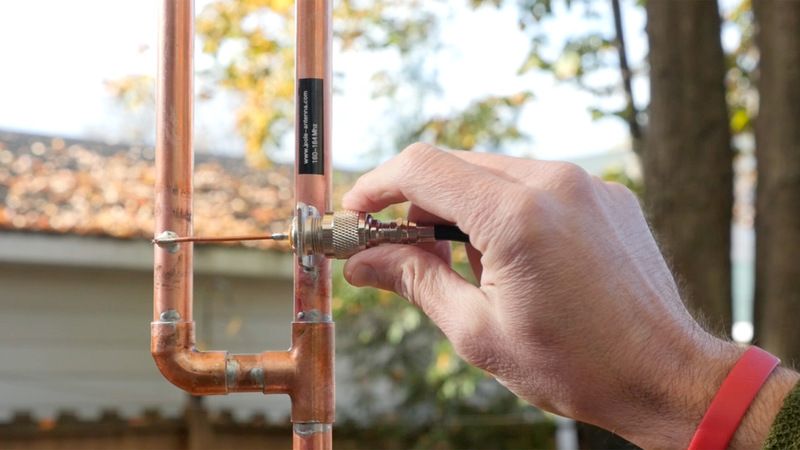 This cable, commonly used for cable TV, is available at Home Depot, Lowes, or other home improvement stores; and is a suitable alternative for signal receiving than using the more expensive land-mobile coax cable. 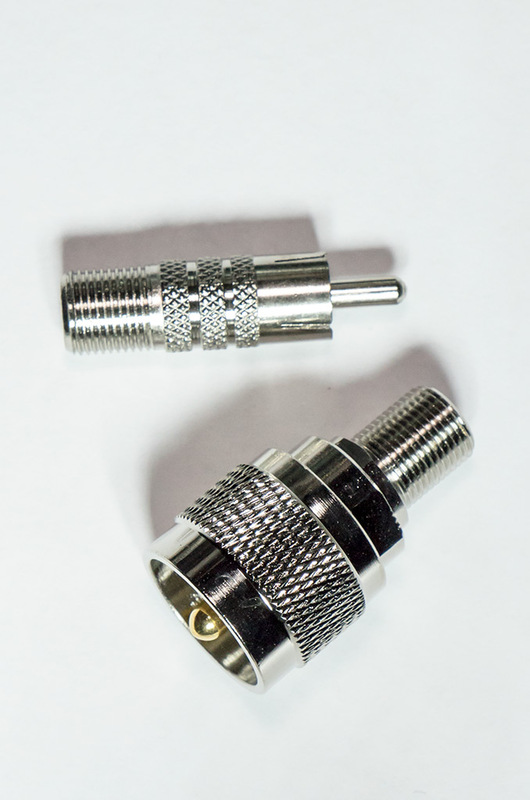 Be the first to review “RCA Male to F Female and PL-259 to F Female Adapter Kit” Click here to cancel reply.